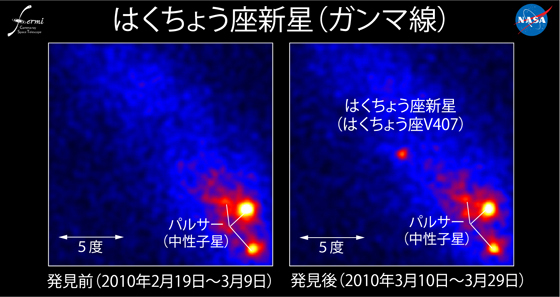 "Gamma-ray Emission Concurrent with the Nova in the Symbiotic Binary V407 Cygni"
The Fermi-LAT Collaboration. 2010. 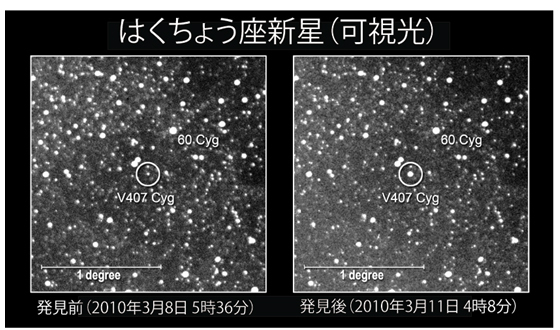 Gamma-Ray Emission Concurrent with the Nova in the Symbiotic Binary V407 Cygni. Science 329, no. 5993 (August 13): 817-821.